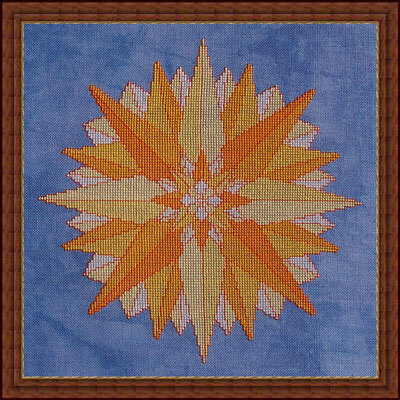 "Mighty Sun & Eastern Star"
28ct. 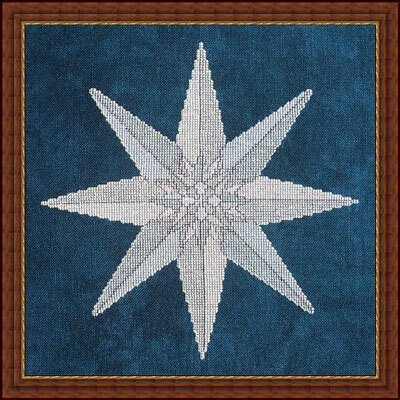 'Stellar' cashel linen (stitched 2 over 2) from Picture This Plus. Stitched with DMC threads. Stitch count is 127 w x 127 h.
and Kreinik 032 (Pearl) #4 braid and 032 (Pearl) blending filament.